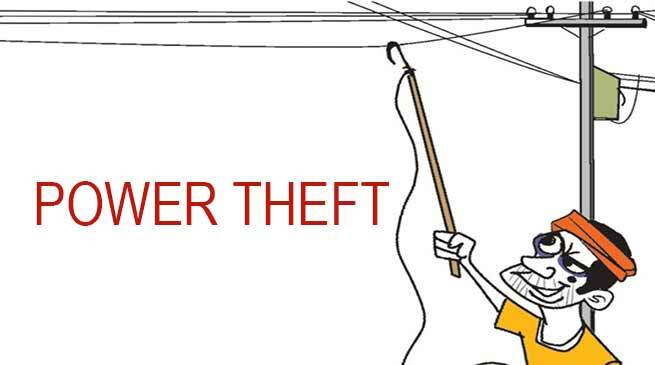 Capital police detained an electrician for his alleged involvement in power theft. The Capital electrical division of Power department is in action which led to apprehended one more electrician in hooking power line and electricity theft. Itanagar Police Station OC Tabi Bage informed that on receipt of complaint by the officer of Capital electrical Division a case has been registered vide Ita PS Case No- 273 /18 u/s- 379 IPC and one Asrafal Alam, son of Lt. Usman Ali have been apprehended from C Sector Market line area. The investigation was going on at the time of filing this report. Meanwhile Capital Electrical Division Executive Engineer Joram Lali have warned all those person including government official and staff involved in such activities to refrain otherwise department is going to take legal action and everyone found will have to face legal action.